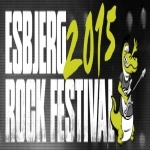 Def Leppard will headline the Esbjerg Rock Festival in Denmark on 30th May 2015 according to the festival website. The two day festival takes place over Friday 29th/Saturday 30th May in Esbjerg, Denmark. The organisers have announced Lep will headline the second day of the festival and they are the first act to be confirmed. This will be the events 25th anniversary. The band last played Denmark on 14th June 2008 at the Rock Under Broen festival in Middelfart. Like that show this could form part of a larger festival run in Europe. Last week KISS announced three festival shows in Europe without Lep in Germany/Austria on 29th/30th May and 5th June. "One of history's greatest rock bands - DEF LEPPARD - will deliver a string of melodic rock classics at the Esbjerg Rock Festival 2015 - the 25th of its kind. "With over 100 million albums sold worldwide, has DEF LEPPARD long written into the history of music. And that's not what! DEF LEPPARD is one of just five artists who have managed to sell over 10 million units. two studio albums in a row in the United States. DEF LEPPARD is also one of the most successful concert artists to this day." "Now it becomes possible to experience this amazing band at Esbjerg Rock Festival 2015, which takes place in Vognsbøl Park, Esbjerg, 29 and 30 May 2015."